By now, you may have heard the news out of Chicago. Early this morning, Empire star Jussie Smollett reported to Chicago Police, he was attacked in a racist and homophobic hate crime while leaving a restaurant. Details are still emerging, but CPD said it received a report that two men in ski masks attacked Smollett, threw chemicals on him, wrapped a noose around his neck, and yelled racial and homophobic slurs at him. Chicago Police say they are investigating it as a potential hate crime. Smollett has starred on Fox’s Empire since 2015. He plays Jamal, a successful singer. Like his character, Smollett openly identifies as gay. Our hearts and thoughts are with Jussie and his friends and family right now. We know hate crimes are often intended to drive fear into whole communities, and this particular attack is likely to do just that. This incident brings renewed attention to a much wider scourge of hatred at large in our society. Jussie’s attack is just one of the roughly 20 hate crimes that plague America on an average day. We must do better. We must continue working towards erasing hate. If this can happen to a well-respected and well-liked actor, it can happen to anyone, anywhere. And it does. 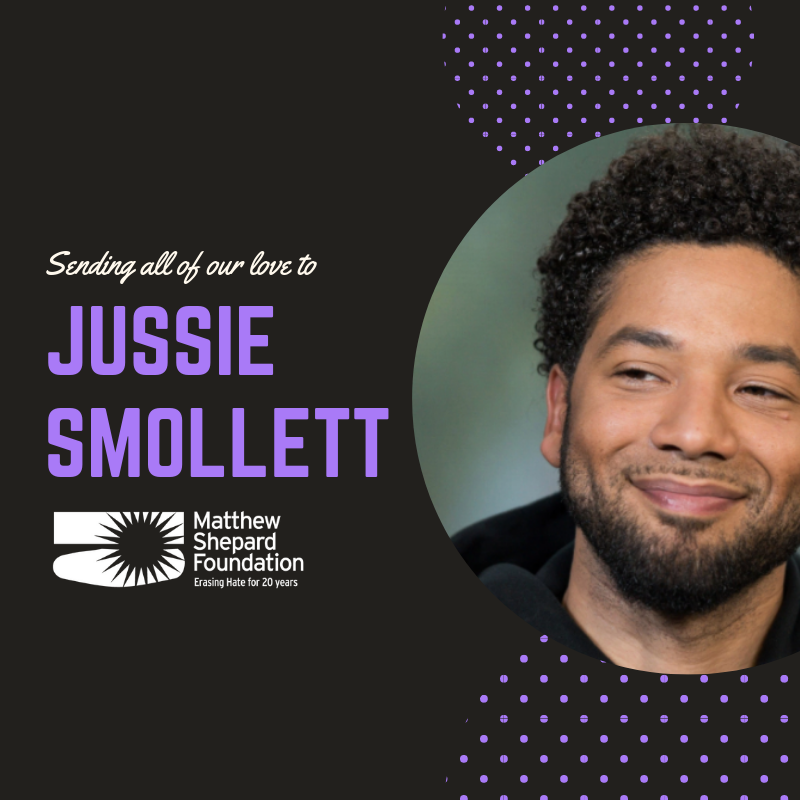 Please join us in holding Jussie in your thoughts today, and then click here to learn how you can help us improve hate crime reporting.